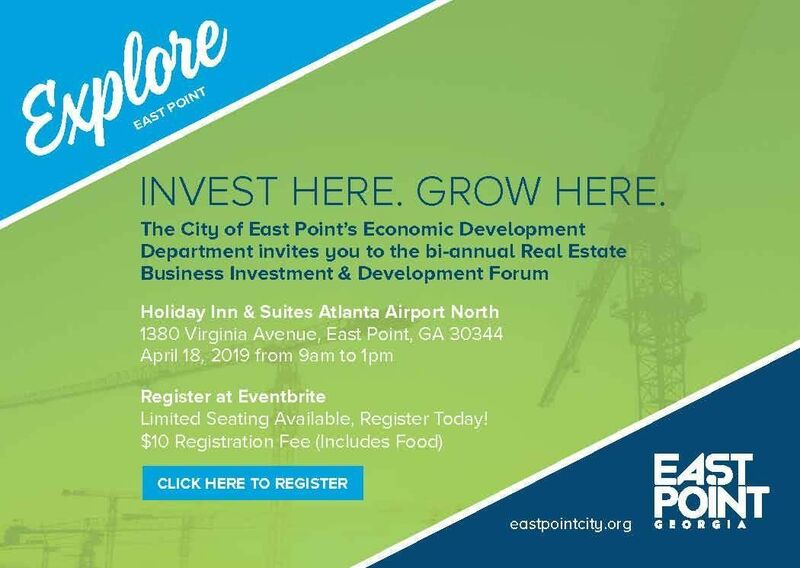 You are invited to participate in the “Real Estate Business Investment & Development Forum” in East Point, GA! The event is organized by the City of East Point Department of Economic Development. Attendees will have an opportunity to network with other industry contacts and hear from the City regarding their vision for growth, as well as, hearing from a panel of individuals who have down real estate development in the City. 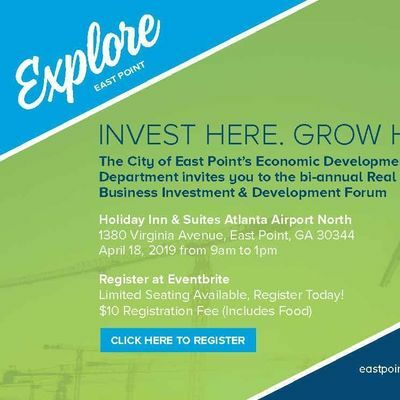 Come discover opportunities in East Point – just seven miles from Downtown Atlanta, located almost entirely "Inside the Perimeter (ITP)" and next to the busiest Airport in the world! **Very limited seating available - Register today!